The Disney Company would have gladly dumped the classic Mickey Mouse, after Fred Moore redesigned him in the late 1930s. The original animated shorts were hard to come by if you were a kid growing up in the 1940s and '50s. But toy collector Mel Birnkrant discovered Classic Mickey and made it his life work to rescue him. "In 1939, Mickey Mouse, as Ub Iwerks and Disney first created him, turned pink, lost his tummy, tail, and pie-cut eyes, and this once exquisite masterpiece of graphic imagery began his descent into oblivion. That was the year in which this once perfect exercise in geometric symmetry was pushed aside, to be replaced by an artlessly updated shadow of the mouse he used to be. Therefore, it was a new more realistic Mickey that appeared in what was intended to be the pinnacle of his career, Fantasia." Mel tells his story of Saving Classic Mickey. I'm so glad there has been a renewed appreciation for Old Mickey in recent years. There are even new cartoons coming out for Disney Channel drawn very close to the old style! I always thought I was the only one who felt that strongly about the design. I appreciate Ub's Mickey (or Mortimer, as he was almost known). I think that he's a great example of his time and place. The simplicity of his design can be considered one of it's strengths. I'm not sure how revolutionary that design is. If you look at other characters of that time, Mickey doesn't really stand out that much. In fact, look at Ub's previous character of Oswald; change the ears and the tail and you've got Mickey. I would agree that Mickey way back in the day had much more personality than he does today. He was much more rambunctious (and frankly a bit more of a jerk). He represents something totally different now; like a comedian who has gone mainstream, he has to watch what he says and does. Tyler, Good points. 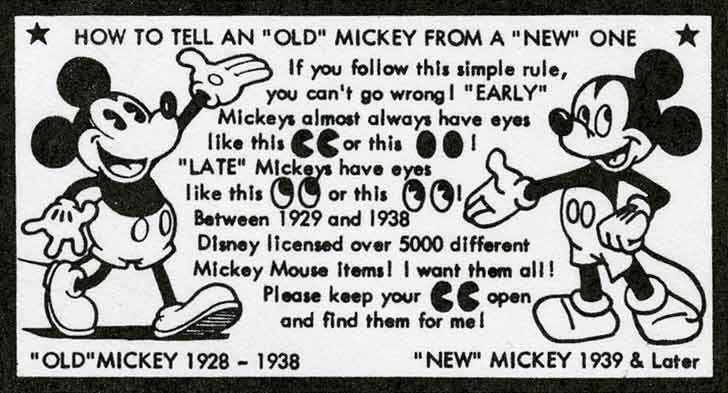 You're right, there were a lot of characters that were pretty similar to Mickey in the late 20s/early 30s. 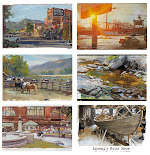 Mel documents some of them on his website. And you're right, Mickey was a lot more spunky in the early days. Later Mickey had the tough assignment of being a corporate icon. I like the way the early Mickey looks in the collectibles that Mel has. But I do have a few issues with early Mickey as an animation character model, especially with eye lines and head turns. What is the big white space on his face: the whites of his eyes or his forehead? When Early Mickey looks around or turns his head in the early cartoons, it can get pretty weird. And then there are those geometric ears which can get really strange on head turns. I think you're right that the best Fred Moore drawings really have charm, and there's a lot of appeal to Mickey in Sorcerer's Apprentice. I also like the combination of Fred Moore and Bill Tytla's sensibilities on the Seven Dwarfs. Fred kind of needed Bill's raw energy, and Bill needed Fred's appeal, and together they did great animation. Tyler, I should also add that if anyone was disingenuous, it was me for using that little want ad artwork to make the point about the style change. 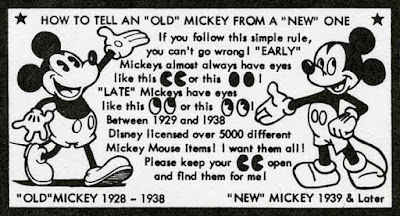 The intent of that diagram was merely to explain to potential sellers of old Mickey merchandise how the two styles differed. The drawings weren't meant to represent proper model sheets of how the two versions of the character were really supposed to look. OK! James as you jumped in, I’ll offer my two cents worth. Was mickey original or “revolutionary” ? Did I clam he was? The fact is, Ub swiped him, from his own previous creation. Who am I to judge if that is plagiarism? Or unoriginality! What? It’s Oswald with the ears changed? Now you tell me! But Classic Mickey was the perfect combination, a point in time when things fell into place and happened to be a perfect symbol that “clicked,” caught on, to become a universal image to the extent that it was, and perhaps always will be, the world’s most successful comic character. More importantly, to the point I’m about to attempt to make, this maybe accidental and slightly auto-plagiarized image was practically indestructible. Trust me when I tell, you, Tyler J, I’ve seen a lot of variations, variations are what made collecting Mickey for the past 50 years interesting for me, and I only have to lift my head to see a couple thousand of them surrounding me. The symbol was so powerful that all these attempts couldn’t destroy it, only make it more interesting. I completely agree with you that Fred Moore’s styling, and more importantly the model sheets that he created were exquisite. He articulates Mickey’s geometry, which in his hands was mostly all circles, with incredible virtuosity. 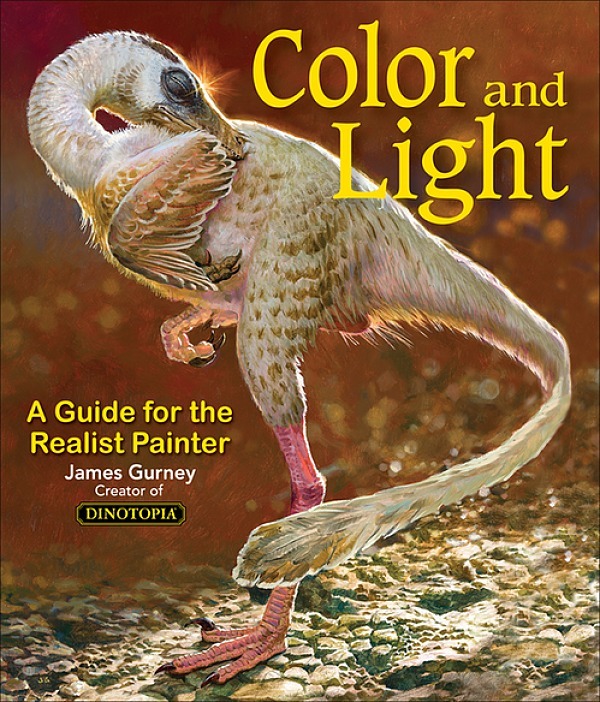 The problem is, no one could articulate it as well as Fred Moore did, and the new image was was no longer indestructible... the example I placed on that guide I printed forty five years ago is a good example of how easy that was to screw it up. And it sufficed to get me many a lovely Mickey While you find that image incredibly disingenuous, it’s all too typical. It was not an attempt to fool anybody on a webpage I would pen 50 years later. If you take a good look at some of the historical references I supplied, you will see that there are plenty where that came from, like the cover of the 1947 Disney merchandise catalogue. Another example of Disney generated disingenuity? Jim about his eyes. The white area around them was originally connected in close ups to indicate that those were the large whites of his eyes, thus the pie cut blacks could move around his head to look from side to side , The pie cuts, by the way, were only seen in close ups, and in products. Eventfully the whites became his face and the now incomplete arches more like his hairline. So, the eyes became more permanently centered, and once they became eyeballs, locked in place. Mickey was always an image that didn’t translate easily to 3D, which is another reason that the elusive attempts, over the years, are so fascinating. All interesting thoughts. I love the fact that you're so very passionate about early Mickey. Art's ability to inspire emotion is arguably it's most elusive quality. To that end, I suppose that is where I'm not sure that I agree with you on his design being indestructible. Definitely iconic and to be fair I must disclose that I'm an animator and so I tend to view Mickey from that perspective now. The more modern versions lend themselves better to the feature style of Disney animation. Although that doesn't necessarily mean that they are in themselves better design. In fact, and older Mickey in "Brave Little Tailor" is incredibly solid (love the turns when he's describing how he fought off multiple enemies (flies) https://youtu.be/0_6yJ62ZkTI?t=2m20s). Again, Fred Moore was on this film so it might help to explain some of the solid quality. Ultimately I don't find early Mickey as compelling from a visual standpoint. The animators were able to get a better range of emotion from him later on with the more complex design. I can't truly rationalize why I feel this way; rubber hose animation from those days usually strikes me as a bit creepy and unsettling. However, that's just one person's opinion. I get a bigger thrill out of watching classic Warner Brothers shorts, particularly with Bugs Bunny. Bugs may arguably be less graphic because he hasn't been abstracted as much as early Mickey, but I respond more to him on a deeper level. I suppose that graphic quality is in a way like looking at iconography. The telephone icon is still successful despite the fact that you don't see rotary phones around much any more.